This fall, Oreos made their bug announcement that they were releasing a pumpkin spice flavor. Other than Golden Oreos and the white chocolate dipped ones, I do not like the different varieties of Oreos; their cream fillings always taste heavily artificial to me. However, I was ready to shamelessly throw out those convictions in the name of pumpkin. The only thing standing in my way – finding the cookies! I have searched Targets and Wegmans’ galore fruitlessly. So you can imagine my excitement when I saw pumpkin sandwich cookies during a random trip to Trader Joe’s. 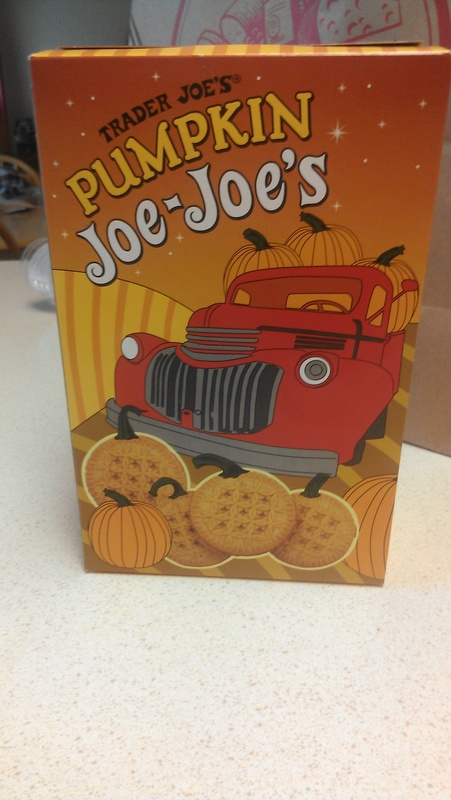 Now, I have no idea if Pumpkin Joe Joe’s happened as a result of Pumpkin Spice Oreos, but I am just happy that they exist. My mother is not a pumpkin enthusiast, but even she could not wait until we got home to try them. So like mature adults, we opened them up and tried them as soon as we got in the car. The cookies could be a festive car freshener. The aroma was delectable, sweet and cinnamony. Nothing could have prepared me for how good the cookies would truly be. The cookie portion is buttery, and the cream holds the glorious pumpkin and its spices. And the cream is soft! When I bit the cookie, the cream spread. 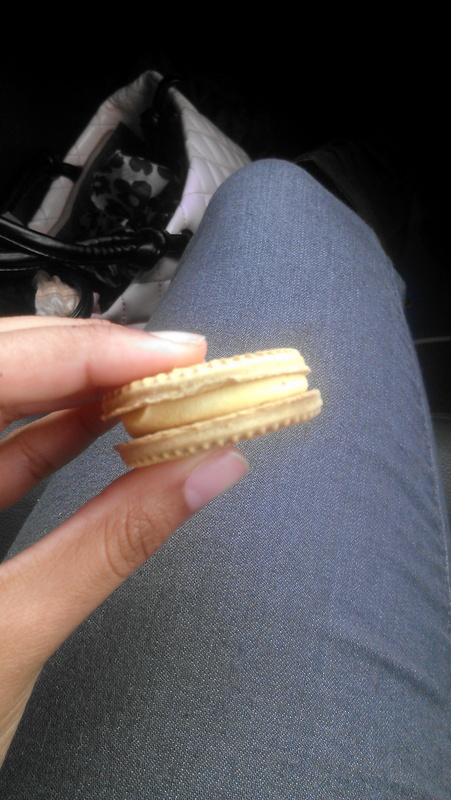 That probably is not a big deal, but I have never had a store bought sandwich cookie in which the cream can move. You really know all the ingredients at Trader Joe’s are real. I really cannot speak highly enough about these. They are literally autumnal joy in a cookie.